L’Oréal Unlimited Mascara is supposed to give your lashes length and lift thanks to the innovative bending wand and “stretchable” formula. It isn’t supposed to clump, flake or smudge. It retails for around $12 and comes in 2 shades. There is also a waterproof formula, but this review is for the washable formula. It is available at Ulta, Target, and Walmart. This mascara gives my lashes a lot of impact quickly. Just a few swipes both lengthens and volumizes with rich black color. It dries down fairly quickly and holds a curl pretty well. I have to be careful to get the application right with the first layer though and stop there. Adding another coat quickly turns my lashes into a clumpy, spidery mess. I also noticed quite a bit of flaking throughout the day but no smudging. The wand can be used straight like a typical wand or it can be angled. Personally, I just prefer to use it straight because it’s what I’m used to doing. The applicator is plastic, tapered, and narrow which is great to avoid getting mascara on your eyelids. 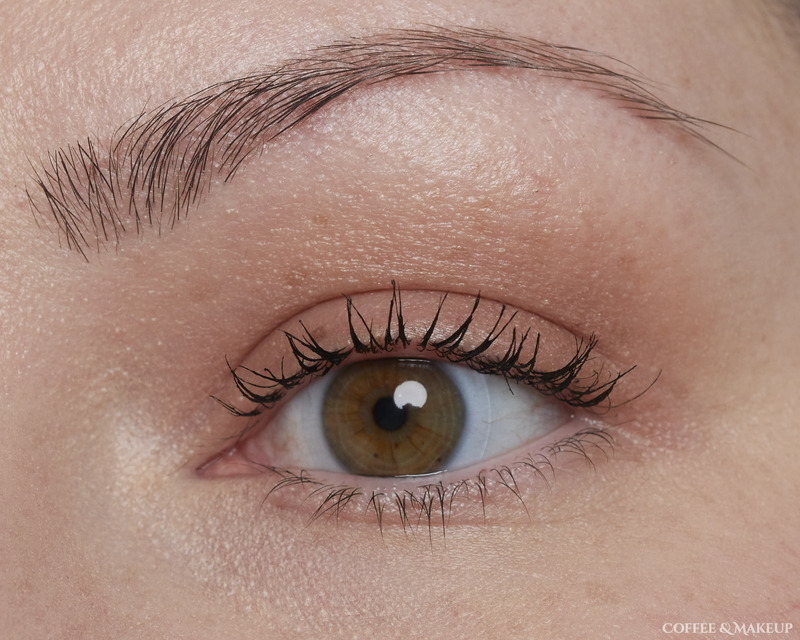 The narrow end seems like it would be great for reaching smaller lashes near the inner corners of your eyes. However, it holds onto too much product and those tiny lashes are easily overwhelmed by the sheer heaviness. I can make it work by applying that excess product to the outer parts of my lashes first which can tolerate holding onto more product. Once the brush is a bit cleaner, I’ll move on to my inner lashes.